I’m so sorry I’m late in posting this – it actually came weeks ago, but life kind of got in the way. 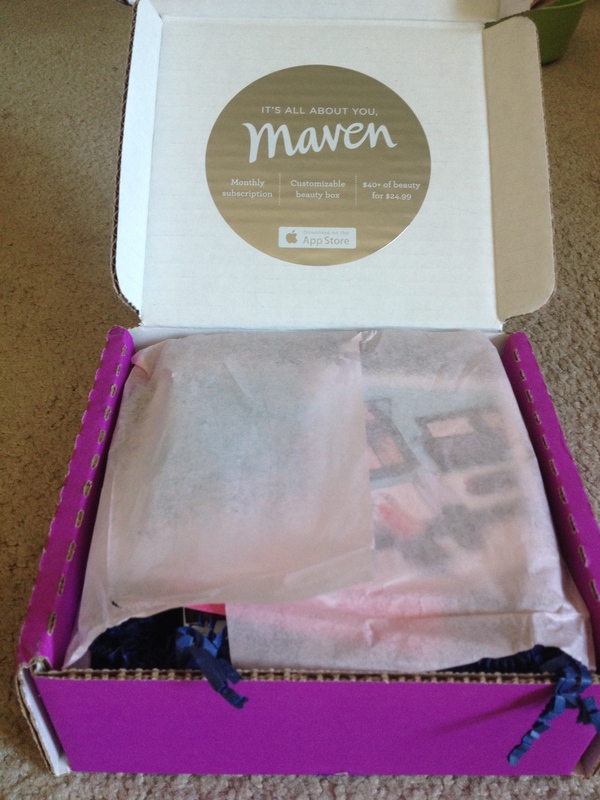 There aren’t many photos of this month’s Maven box, because my cat photobombed the rest. So bear with me. I switched from “it girl” to “Boho Glam” because I was curious to try their make-up. 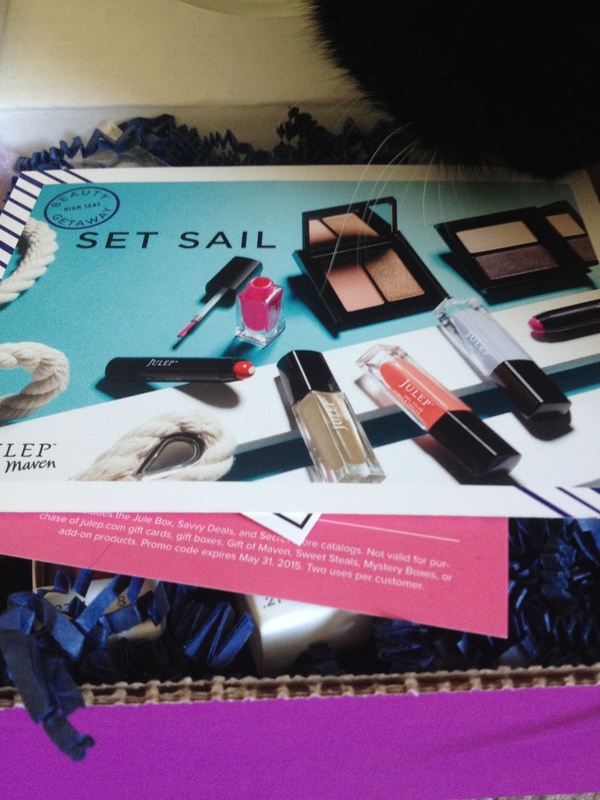 This month’s option was… I think blush? 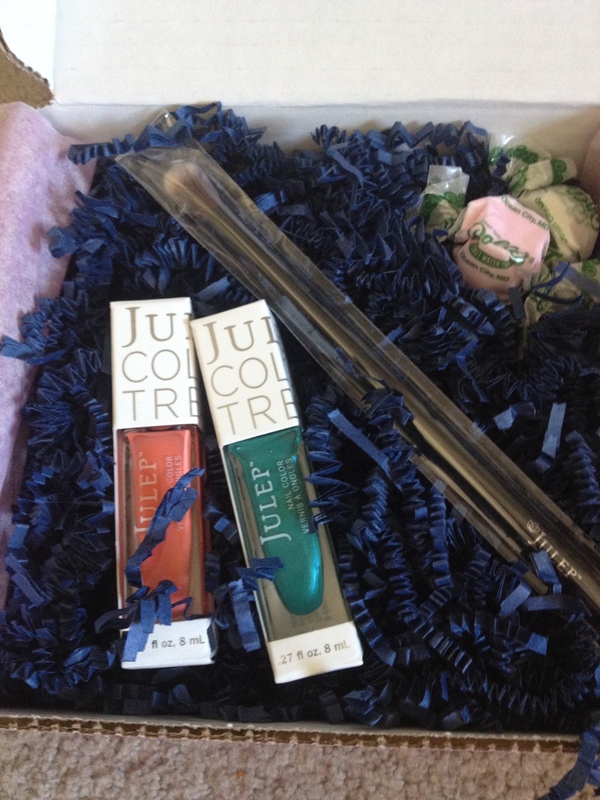 I can’t remember, BUT Julep allowed me to go in and swap it out. So I did. You can see my cat’s head in this photo. 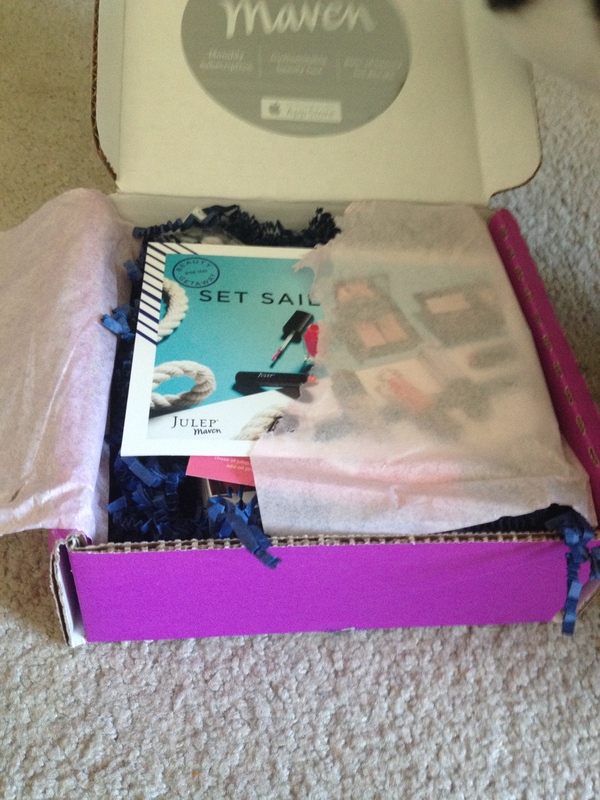 This month I got saltwater taffy as a treat, YUM! 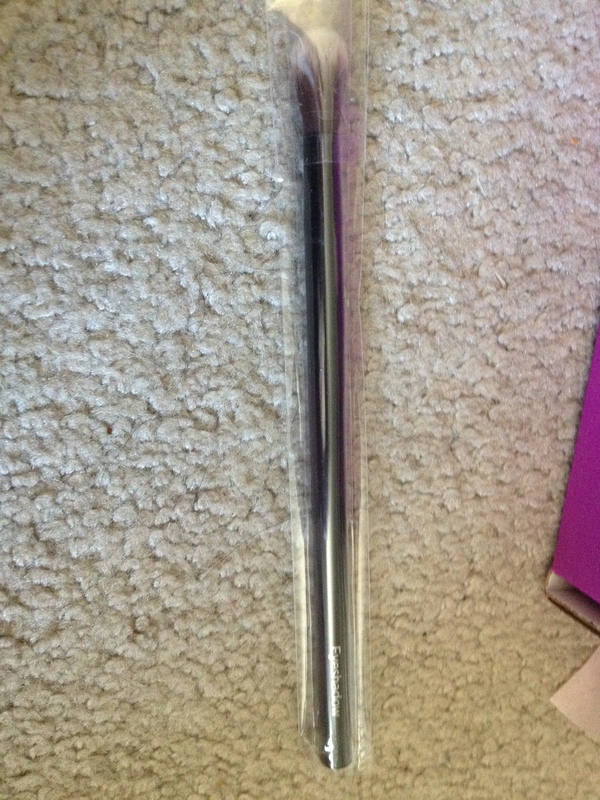 I swapped out the make-up item for a eyeshadow brush. I am SO glad I did. It’s much better quality than the target brushes I had. This month I got Becca and Carolyn for my polish colors. I just love, love, love them! They’re very spring-y and fun! 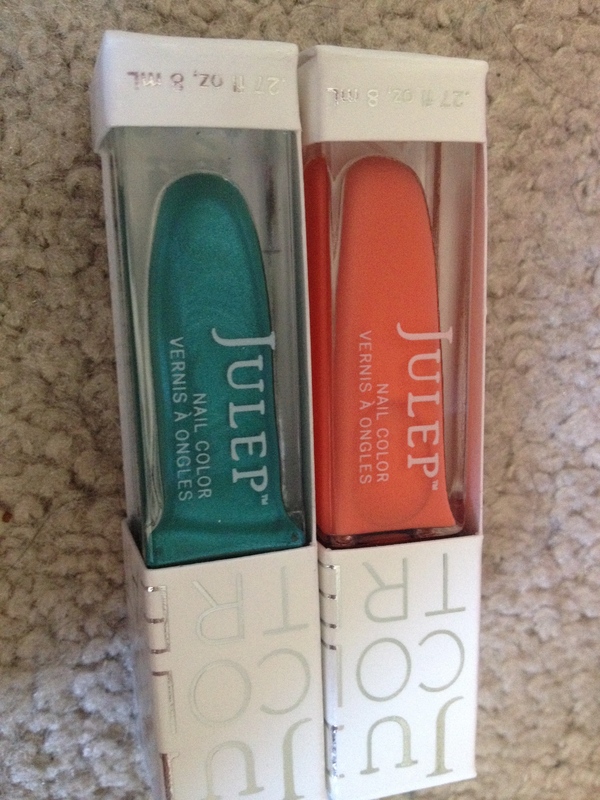 They’re also very much “me.” So far I am loving Julep.